Relax in front of this brilliant 43 inch LED TV from Panasonic. With a crystal-clear, Full HD picture, it delivers spectacular visuals – perfect for watching epic dramas and breath-taking documentaries. 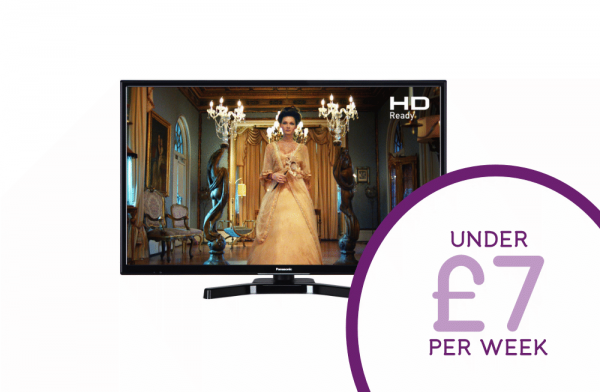 Thanks to a built-in Freeview tuner, it offers a wide range of entertainment across 70 free channels, including 15 in HD, so there’s always something for everyone. Plus, you’ll be able to hook up Blu-ray players and consoles to the 2 HDMI ports or plug in an external hard drive to the USB port to watch your home videos on the big screen.